I thought I had once written about one of my favorite summer snacks before, but a quick search on the blog told me I hadn't. I couldn't believe it because it's SO good. 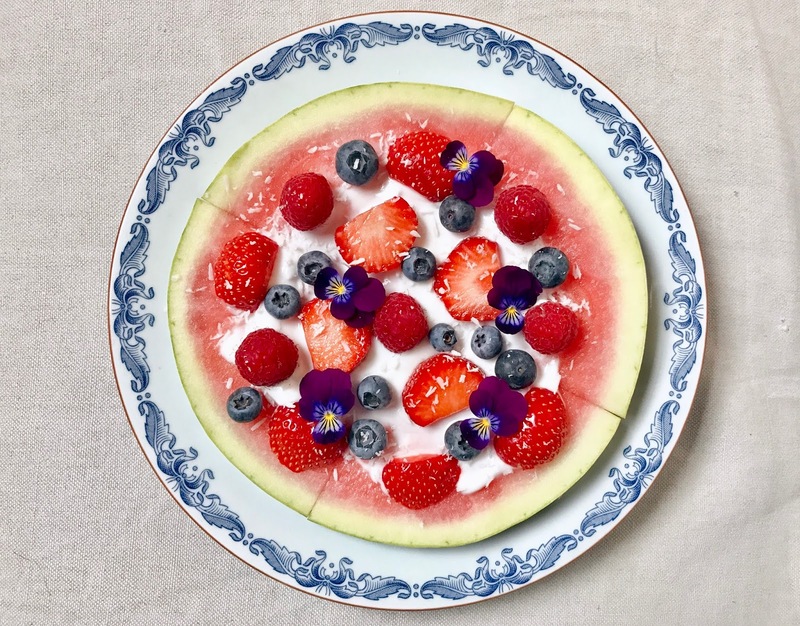 So today I wanted to share with you a super simple recipe to make watermelon "pizza". It's a super fresh snack which you can whip up in 5 minutes. 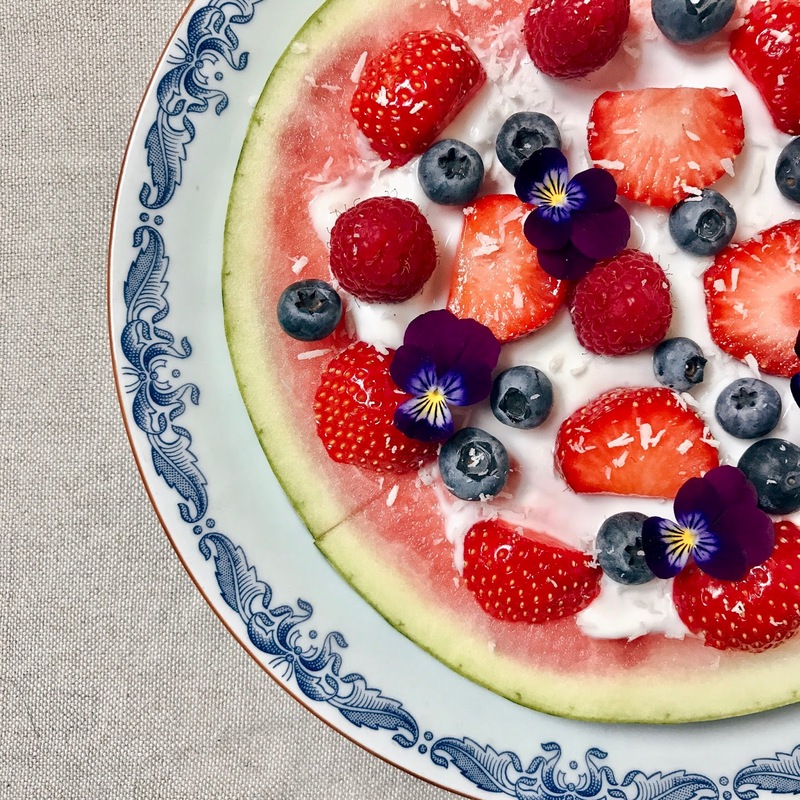 I've also recently found a coconut yogurt which is so good, not too heavy and a little sour, which perfectly complements the sweetness of the watermelon and berries. All you'll need is 6 ingredients and a sharp knife! Cut a slice of watermelon, and slice it into four pieces, this will make it easier to eat later on. Spread two tablespoons of coconut yogurt on top using a spoon. Remove the crowns and slice the strawberries in three pieces from top to bottom. Lay them on top of the coconut yogurt, together with the other berries and coconut flakes. Finish with some edible flowers if you have some at hand. Voila! Other topping options: mango, passion fruit, mint, peach, kiwi, pomegranate, banana slices, toasted almond flakes. Or feta, mint and a sprinkle of balsamic vinegar for a more savory option. I love this super simple and delicious summer snack. It really makes the most of the summer fruit, and everything tastes the best at this time of the year. One bite is a mouthful of summer!